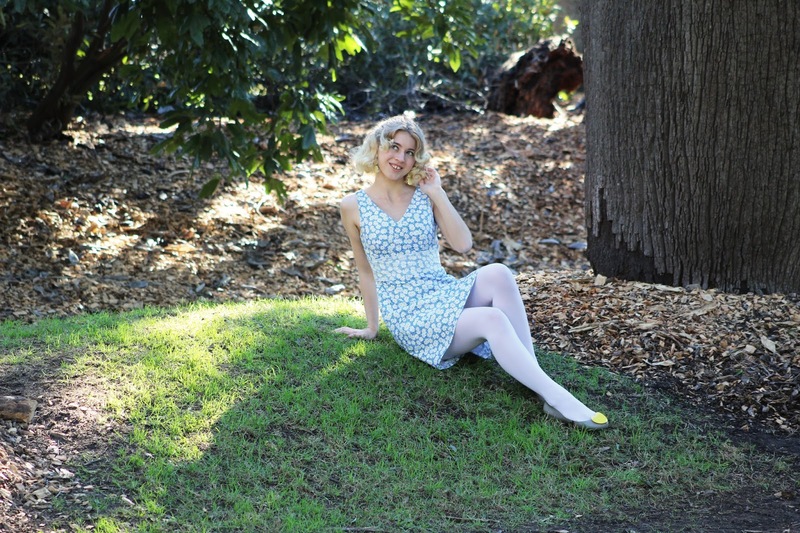 60's vibes in this perfect little daisy print dress by Nostalgic Hearts! I can't go past a cute 60's look and a sweet summer dress, I slightly winterised this dress with tights to keep my legs a little warmer (the coat/scarf combo I wore with this outfit is coming to the blog soon in another blog post). 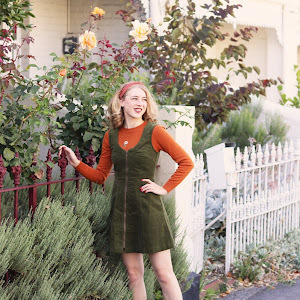 Julia Wild and I have been following each other on Instagram for quite a while now, she is an amazing seamstress so you can understand my excitement when she told me that she was working on a 60's / 70's range for her label. What was even more exciting is the fact that she wanted to design a dress inspired by me and here it is! 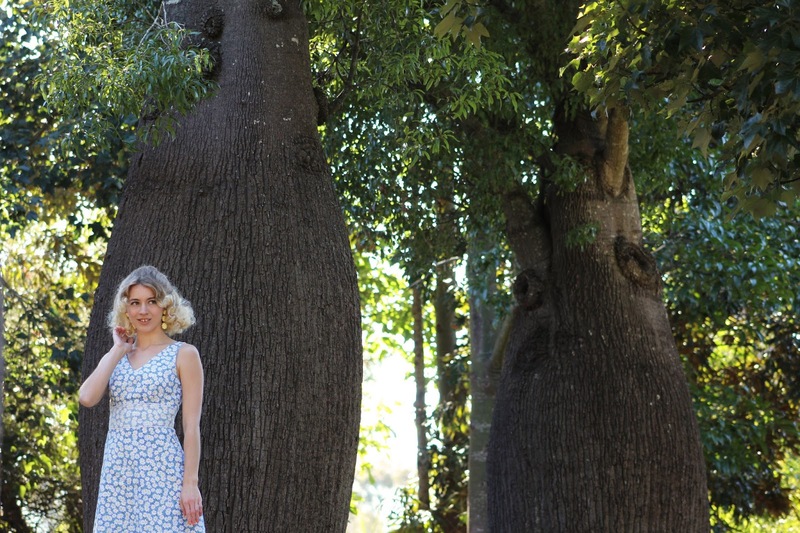 Things I love when it comes to a great summer dress includes cotton fabric, a gorgeous vibrant print/colour, great structure to a garment, a good fit, lined and a modest length. Julia definitely captured all the things I find important for a summer dress. 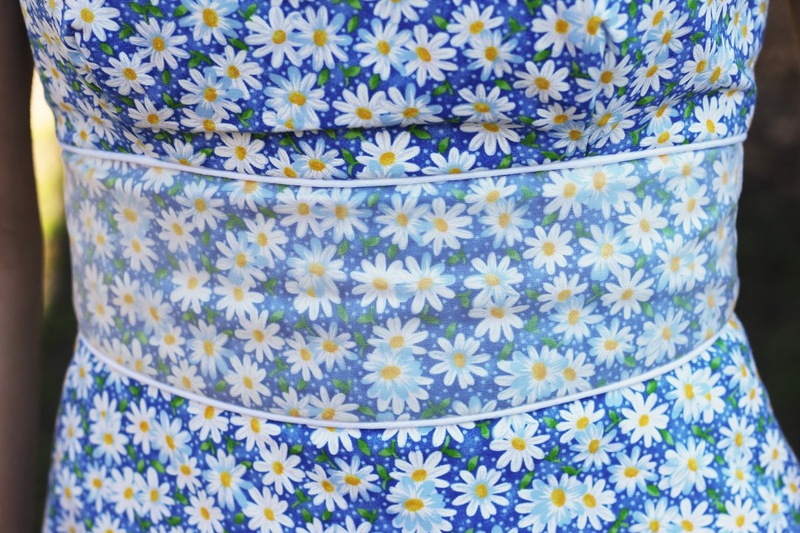 I can't get over how beautiful the daisy print is, the flowers look as if they have been painted on. The silk organza overlay on the waist is that added bit of extra detail that really makes the dress. I'm going to have to post more of this dress in the summer time as it is going to be so perfect for walks at the beach and parks with the dogs (look out for more photos when the hot weather is back again). 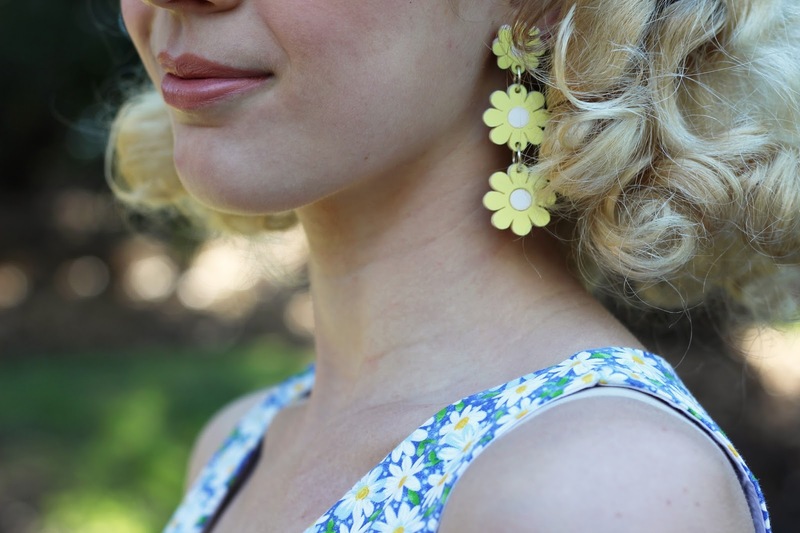 I had to wear my favourite Revere Folie earrings with this dress as they are the perfect match and I never get sick of wearing these earrings, I may have to purchase them in more colourways for spring and summer! Be sure to check out the Nostalgic Hearts website, all pieces are handmade in California and available in limited quantity. 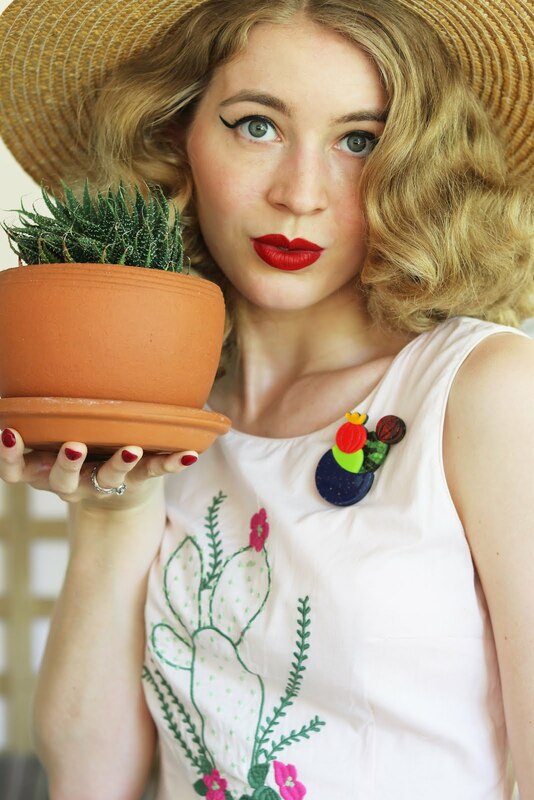 Her designs are of the highest quality, unique and absolutely stunning... 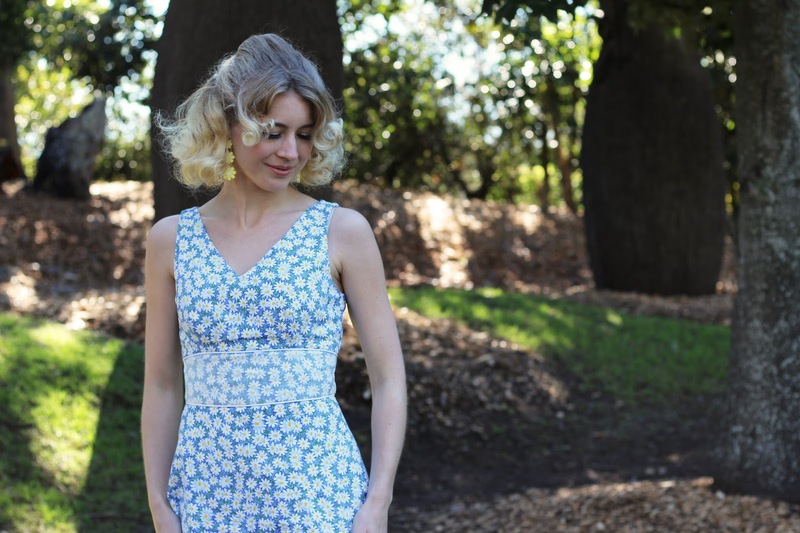 It has been an honour to collaborate and share our love of vintage fashion with this dress! After a busy Monday it is nice to relax as I write this post with a cup of tea before I head off to my warm bed later! Have a great week! Such beautiful photos, you look stunning!